Kenneth H. Habecker, age 87, a resident of Albuquerque, New Mexico for the last 5 years and long time resident of Lancaster, Pennsylvania died Monday, August 29, 2011. 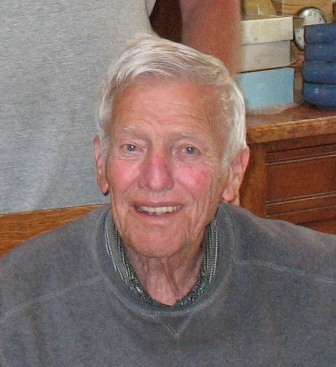 He is survived by his loving wife, Ruth Meck Habecker and daughters Sharon Christensen and husband, Chris of Albuquerque, NM; Melinda Habecker and grandsons Brendon Connors and Ian Connors of Mount Horeb, Wisconsin; and Nancy McDow and husband Eric and grandchildren Sean McDow and Jessica McDow of Albuquerque, NM. He is also survived by his sisters Suzanne Weist, Lancaster, PA; Mary Lou Shelton, Lancaster, PA, and Shirley Sosnoski, Willow Street, PA. He is preceded in death by his parents John S. and Mary A. Habecker of Lancaster, PA and his brother John D. Habecker of Lancaster, PA. Ken attended Hempfield Schools. He helped his father farm and later developed his livelihood in custom agricultural services including harvesting, pest and weed management, and tobacco buying. He had a warm and generous heart and love of life that endeared him to many. He and his wife Ruth loved dancing and travel. Ken was also an avid photographer and his great passion in life was flying. He bought his first plane when he was a teenager and flew planes until he was in his 60’s. He had a private airport that was a gathering place for family and friends. He was a member of Lancaster Aero Club, PA and International Flying Farmers, and a lifetime member of Rough & Tumble. Services will be held Friday, September 16, 2011 at 11:00 am at the Richard Sheetz Funeral Home, 2024 Marietta Ave, Lancaster, PA. Friends may call at the funeral home on Friday, September 16th from 10:00 A.M. until the time of the service. Internment will follow at the Rohrerstown Mennonite Cemetery . If desired, contributions in Mr. Habecker’s memory may be made to the Rohrerstown Mennonite Cemetery Association, 609 Rohrerstown Rd, Lancaster PA 17601. Visitation Time: 10:00 – 11:00 A.M.